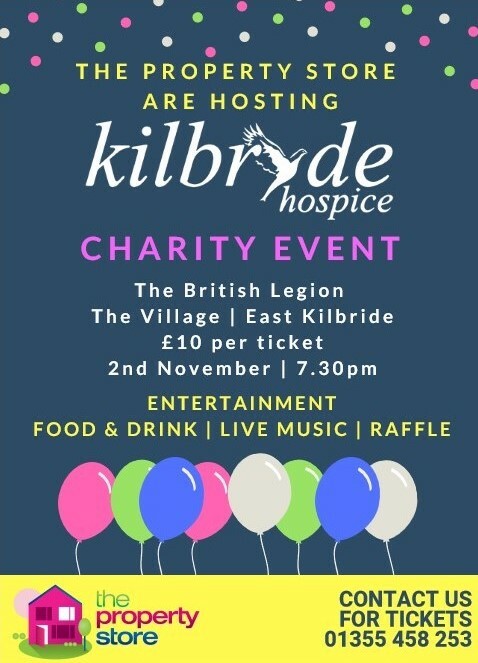 We are hosting the event in order to raise funds for the Kilbryde Hospice. The event will be held in The British Legion, East kilbride on Friday the 2nd of November at 7.30pm. There will be Entertainment, Food and Drink, Live music and a Raffle! We are selling tickets now from our office at the cost of £10 per ticket and we welcome everyone to come along for a fabulous night!